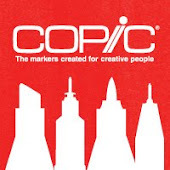 This week I wanted to share a tutorial about a product many of you may have not heard of, yet we carry it here at Copic on our web store. 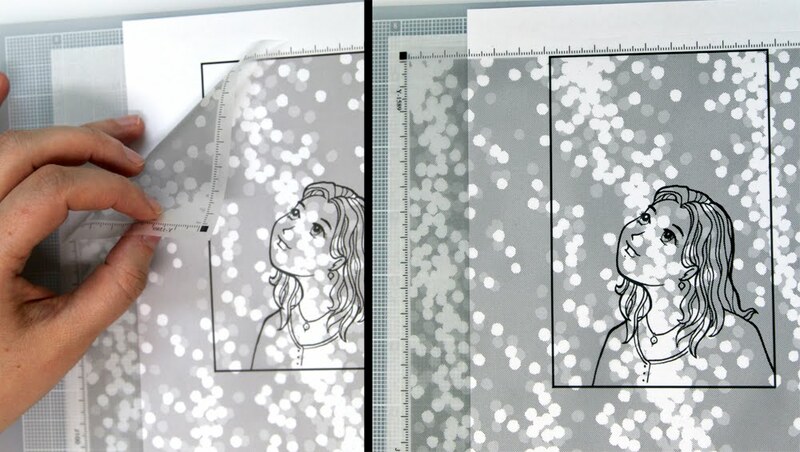 Screen tones are a specially printed transparent sticker that is commonly used for adding patterns and shading to comics. 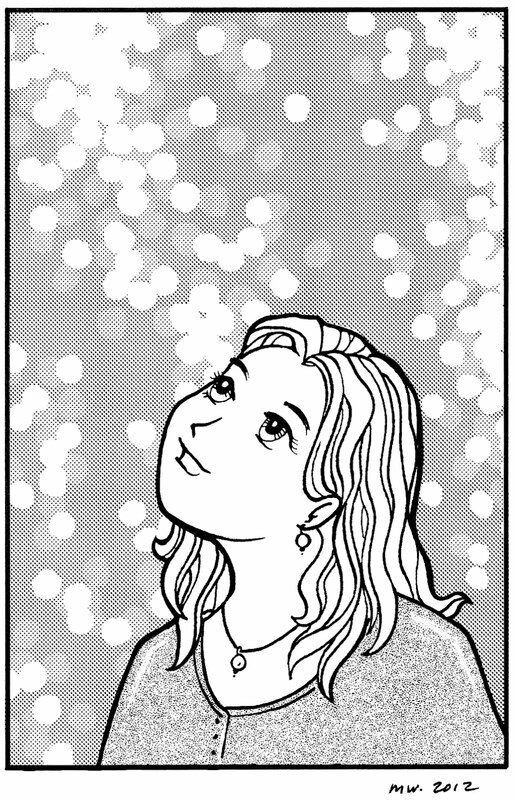 If you have ever had to do a lot of cross-hatching, tones can save you a lot of tedious drawing. 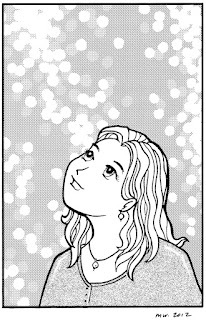 Screen tones are more popular in Japan, where a lot of comics are still drawn by hand, however, they are growing in popularity here in the U.S. 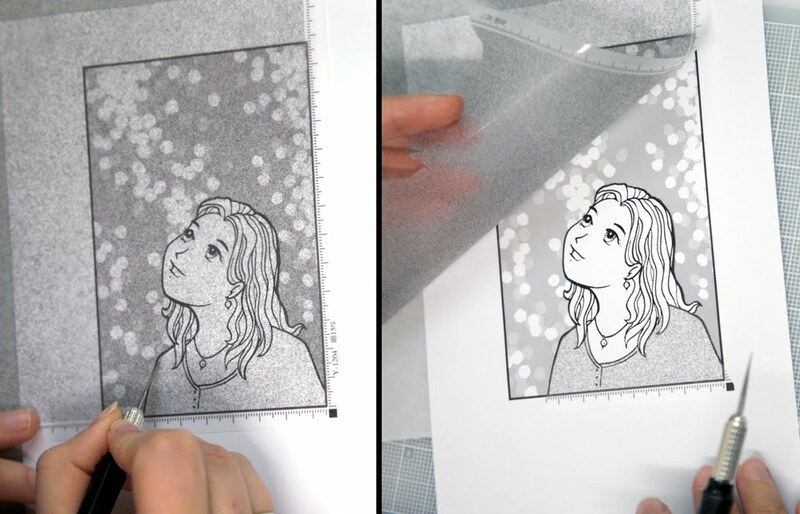 Although they are usually used for comics, screen tones are great for mixed-media, crafts, and many other applications. We carry about 40 different tones in our store. From clouds and trees, to gray and stripes. 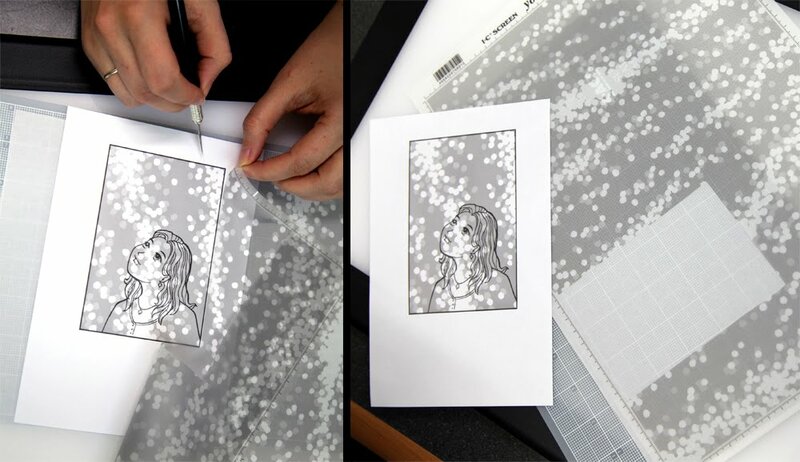 As each one is transparent, you can layer, mix, and match to get the effect you need. Screen tones require a few basic tools to get best results. 1. Good cutting mat. I use a clear one so I can use it through my light table for detailed work, though any "self-healing" mat is good to work on. 2. Sharp craft knife. I use an exacto knife, and I keep plenty of sharp blades so I never worry about ripping my tones when cutting, and I don't have to push very hard to get a good cut. 3. Artwork. I photocopy my work, and add tones to the copy, just in case I make a mistake. 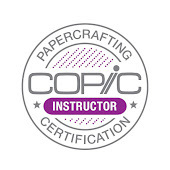 You will get best results if your work is printed on medium to thick paper (because you are cutting into it and don't want to damage it). 4. Burnishing tool. I use a bone knife, but there are special burnishing tools you can purchase at art-stores. These basic steps will help you add tones to a black and white image. See tomorrow's post for directions on working with colored images. there are lots of ways to use screen tones, but this is the technique I happen to use. 1. Peel the screen from the protective backing sheet. Position artwork under the pattern area you want. 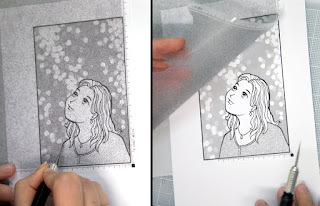 Note: if you are afraid of damaging your artwork, you can place your art under both the screen and backing layer, as they are still fairly transparent. 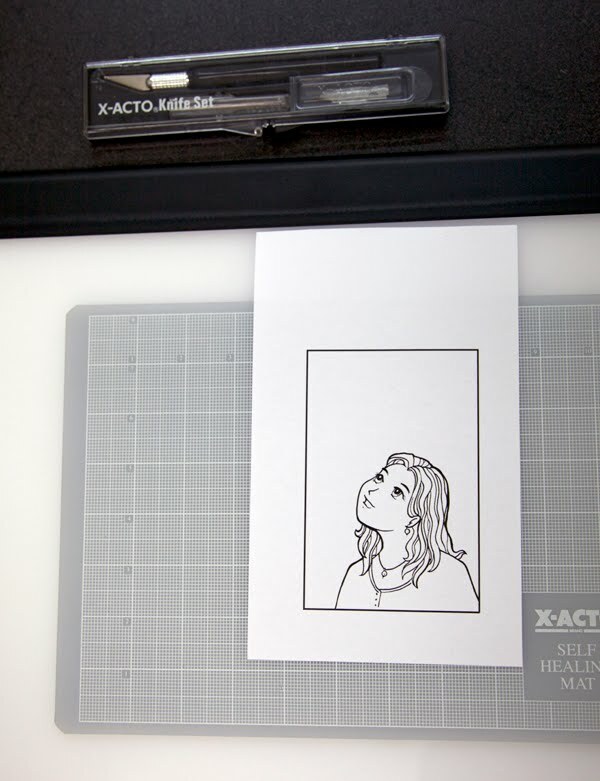 Be aware that your screen may shift when cutting, so tack it in place with a removable tape. 2. Make your rough cut around basic area, and peel back tone layer. Save unused tone on the sheet of backing paper. • Cut lightly so you don't damage your artwork! • Try not to press the tone down in areas where you will be making additional cuts and removing pieces. • When peeling, be careful to not fold or stick unused tone to itself. • Keep even the tiniest scraps, as they are useful in all sorts of situations. 3. Cut detailed areas and peel off excess tone. 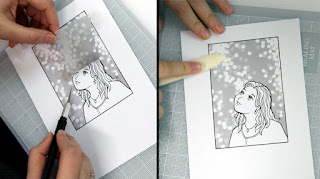 Carefully burnish tone (firmly press tone into illustration) to make sure it is firmly applied. • Burnish evenly from the detailed areas out towards the edges. This helps avoid wrinkles. • To protect the screen tone while burnishing, you can place a piece of clean scratch paper between the tone and the burnishing tool. • Be sure that edges are very cleanly rubbed down. • If ink lines appear slightly gray under the tone, continue to burnish until the lines look black. 4. Add other tones, using steps above. • Be careful that you don't accidentally pull up your first layer of tones when removing excess tone from the second layers. • Again, when you are done, be sure to burnish completely. • When layering multiple tones in one spot, be extra careful when cutting so you don't damage lower tone layers. • You can make an area darker by layering a second layer of the same tone, simply off-set or turn the next layer slightly until it covers more white. 5. To add highlights to a toned area, carefully scrape away printed tone (not the sticker backing). See photo. 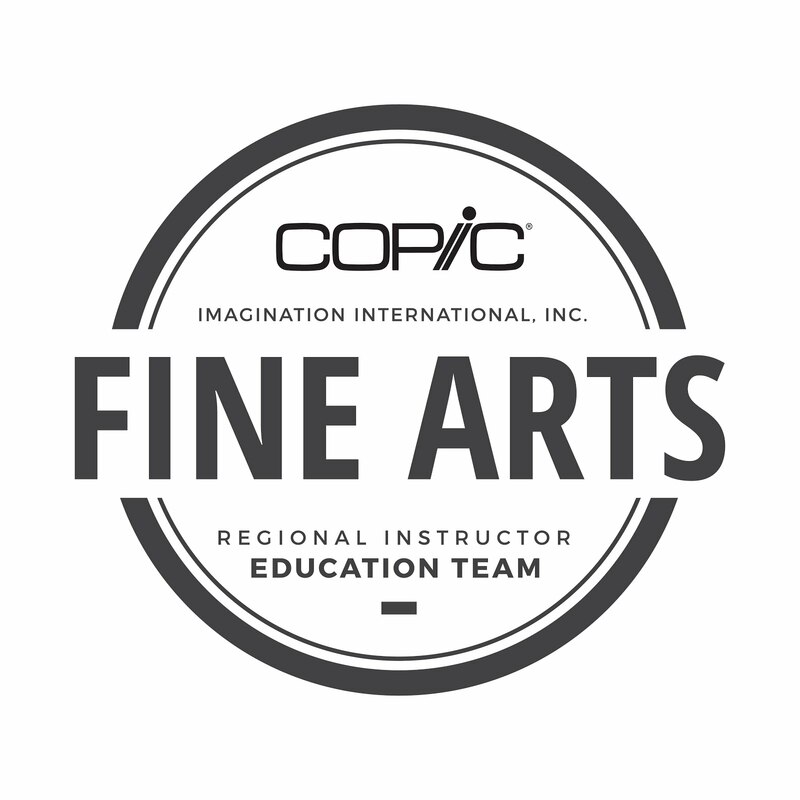 • Tone can also be carefully removed with a sand eraser, available at art stores. 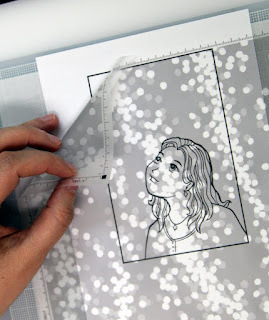 • Use the side of the blade to avoid scraping through the sticker layer. Once you are done, if you need to touch up any areas with an inking pen, be aware that the screen is non-porous, so any ink lines drawn over tone will need to be allowed to dry for a long time or else they may easily smear. As you can see from the finished piece, screen tones help make the artwork look a lot more textural and interesting, without having to go through the computer. 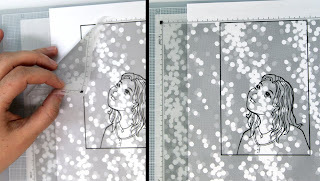 Best of all, if you are going to be photocopying your artwork, screentones photocopy well, and shrink or enlarge nicely. Marianne, This is so interesting. I'm not sure if I totally understand. I will read on and hopefully I will. wonderful. Thank you for sharing! WOW Marianne, what an awesome post. I had never heard of screen tones but will definitely be looking into getting some. So many applications for these swimming in my head right now!